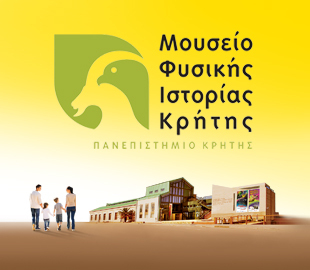 The Natural History Museum of Crete (NHMC) showcases the natural environment of the Eastern Mediterranean area, placing special emphasis on Greece and Crete. The museum exhibition space is located on Sofokli Venizelou Avenue in Heraklion, and comprises five levels. 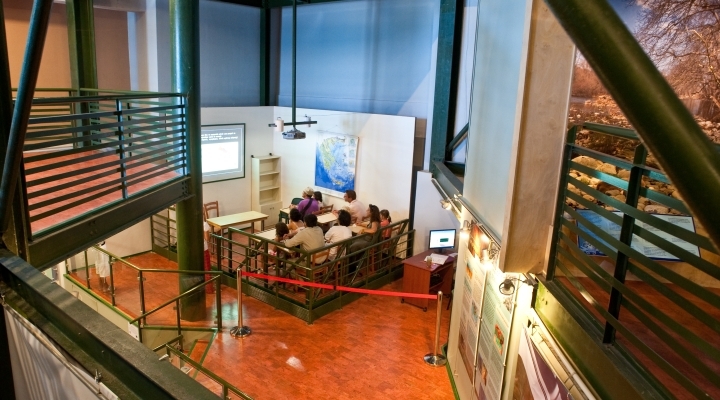 Visitors can see the Megadioramas; the Giant Deinotherium, a model of the largest prehistoric animal on Crete, which lived 8.5 million years ago; the Living Museum, which houses live animals; the Discovery Center, an area specially designed for children; the Seismic Table, an educational earthquake simulator; and the NATURA 2000 Hall. At the same time, the NHMC is currently hosting three temporary exhibitions: Crete: A Continent on an Island, Dinosaurs Extreme and Light Mysteries. Visitors can wander freely through the museum’s exhibition halls, or request a guided tour by our specialist staff. The Megadioramas take up three levels at the core of the museum's main exhibition space. Cretan ecosystems are presented alongside their equivalents in Greece and elsewhere in the Mediterranean, via full-scale models of natural landscapes. The Megadioramas present life in forests, shrub lands, wetlands, coasts, deserts and alpine ecosystems in the Mediterranean. 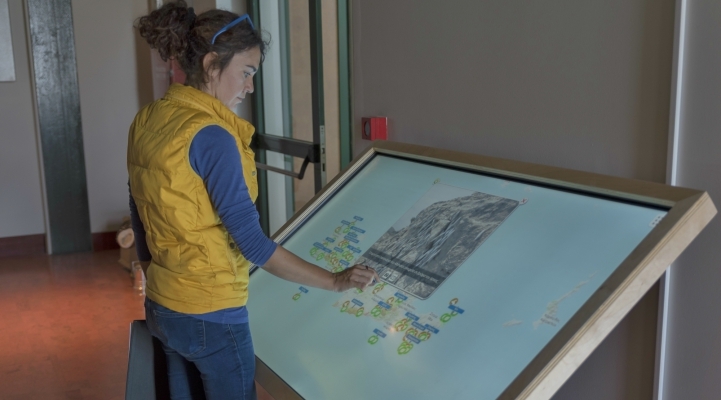 The museum is home to an educational seismic table (earthquake simulator), offering visitors the opportunity to learn about earthquakes, and experience actual earthquakes that have occurred in the past, in a safe environment. The Enceladus is a mockup of a school classroom. Specially designed programs in Greek and English enable visitors to experience earthquakes of up to 6 on the Richter Scale, and learn about good protection practices. RACCE is a European programme funded by the EU Civil Protection Financial Instrument, and coordinated by the Natural History Museum of Crete. It focuses on raising awareness and enhancing knowledge about earthquakes, while at the same time educating relevant groups (teachers, parents, volunteers and civil protection agencies) on best practices and appropriate responses to seismic disasters. A modern educational seismograph has recently been installed as part of the RACCE project. Recordings are real-time and available online at the IRIS website. 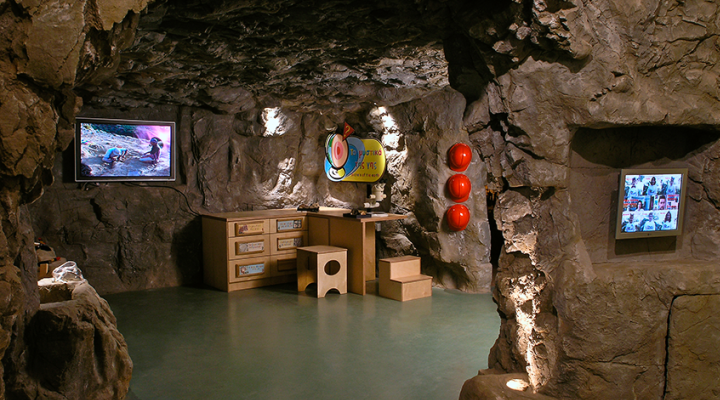 The Discovery Center is a 250 m2 area specially designed for children up to the age of 15. Through educational activities, original and interactive games and cutting edge technology, children can explore the natural environment of the Eastern Mediterranean, with an emphasis on the island of Crete. 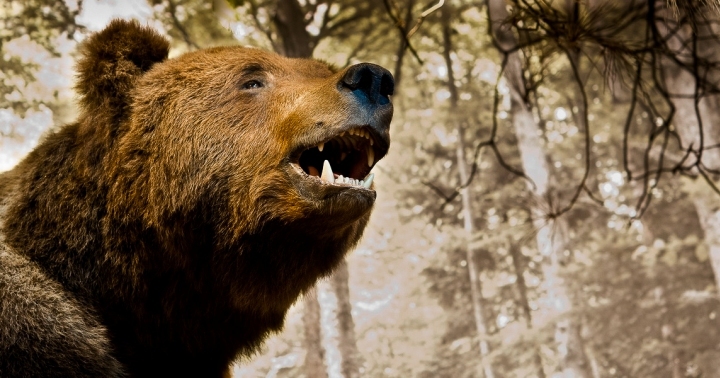 Among many other things, young visitors can dig out prehistoric animals, explore caves, play puppet-theater, hide in the trunk of a big plane tree and spend a night at camp. 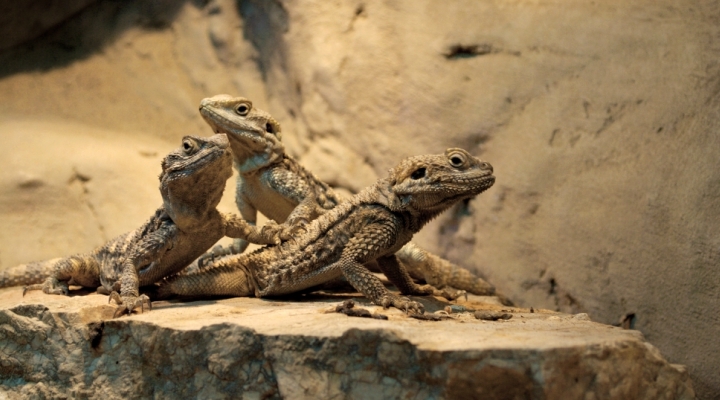 The Living Museum is a specially arranged area, featuring small scale aquariums and terrariums that are home to live animals found in the Eastern Mediterranean region, such as lizards, turtles, frogs, vipers etc. Crete: A Continent in an Island is a temporary exhibition based on the book of the same name, written by Demos Tsantilis and published by the NHMC, which covers the rudiments of Cretan biogeographic diversity. The exhibition is situated on the ground floor of the Museum, in the Maria Ioannidou-Lygidaki Hall, named after the first president of the NHMC Friends’ Association. At a total area of 300 m2, the exhibition presents the basic features and elements of Cretan nature. 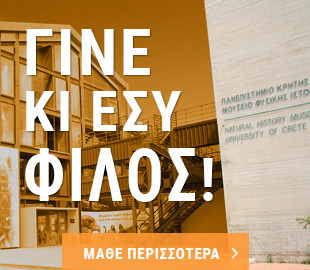 The exhibition is co-organized by the NHMC -University of Crete, Crete Region and the NHMC Friends’ Association. The "NATURA 2000 Hall" is an Information Centre dedicated to areas in the NATURA 2000 Network on Crete. The hall was completed in September 2016 as part of the European LIFE Natura2000 Value Crete programme. The Information Centre aims to familiarize residents and visitors to the island with the protected areas in the NATURA 2000 Network on Crete. It comprises four (4) interactive new technology systems, offering a user-friendly, easily understandable presentation of the features specific to the areas, their ecosystems, species and protection status, the threats they face, and their importance to the island’s social and economic welfare. 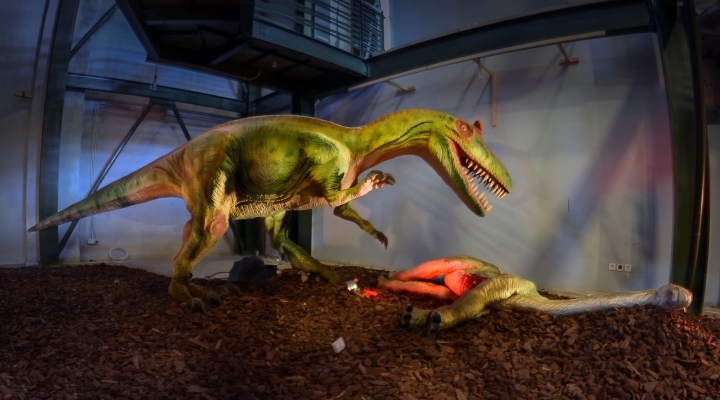 A temporary exhibition that takes us back to the age of the dinosaurs! The exhibition presents the most extreme creatures in that time via life-sized moving robotic models: animals with huge spikes, horns, scary jaws, sharp nails and impenetrable armor, including the enormous Argentinosaurus; Eoraptor, the oldest of the lot; and of course T-Rex, the most infamous of all! 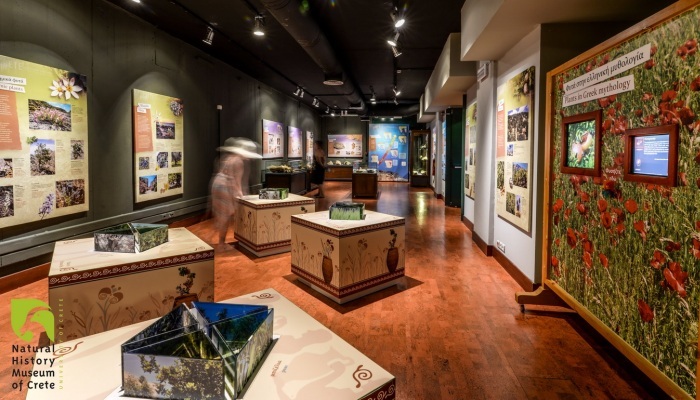 This exhibition features educational and interactive content for all ages. Impressive exhibits, games and experimental devices follow the evolution of optical technologies, 3D imaging and holograms. 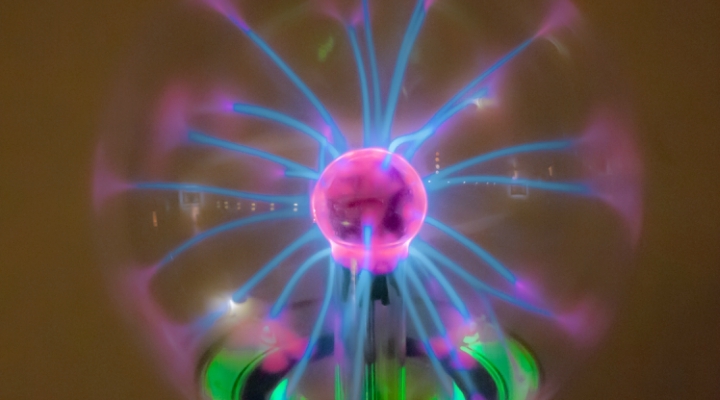 Explore the magical world of optics, technology, colors and holography.